DuPont Industrial Biosciences (DuPont) and Archer Daniels Midland Company (ADM) have opened what is said to be the world’s first biobased furan dicarboxylic methyl ester (FDME) pilot production facility in Decatur, Illinois. The plant is said to be the centrepiece of a long-standing collaboration that will help bring a greater variety of sustainably sourced biomaterials into the lives of consumers. FDME is a molecule derived from fructose that can be used to create a variety of biobased chemicals and materials, including plastics, that are ultimately more cost-effective, efficient and sustainable than their fossil fuel-based counterparts. One of the first FDME-based polymers under development by DuPont is polytrimethylene furandicarboxyate (PTF), a novel polyester also made from DuPont’s proprietary Bio-PDO (1,3-propanediol). PTF is a 100% renewable polymer that can be used to create plastic bottles that are lighter-weight, more sustainable and better performing. Research shows that PTF has up to 10-15 times the CO2 barrier performance of traditional PET plastic, which results in a longer shelf life. With that better barrier, companies will be able to design significantly lighter-weight packages, lowering the carbon emissions and significant costs related with shipping carbonated beverages. 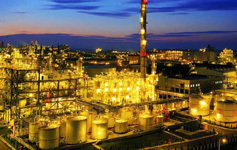 Meanwhile in other news, Taiwan’s Formosa Petrochemical Corporation has selected St. James Parish in the US state of Louisiana for setting up a US$9.4 billion petrochemical complex. The Taiwanese company has purchased a 2,400-acre site along the west bank of the Mississippi River to set up the plant. Located just downriver from the Sunshine Bridge, the complex would be built in two phases and produce ethylene, propylene, ethylene glycol and associated polymers. Formosa plans to operate the complex under its subsidiary and Louisiana registered company, FG LA LLC, and is branding the site as ‘The Sunshine Project’. Pending the completion and approval of permits for the site, FG could begin construction as soon as 2019 in what projects to be a 10-year building and development process in two phases. The Sunshine Project would create 1,200 new direct jobs averaging US$84,500, plus benefits. Louisiana Economic Development estimates the project also would result in 8,000 new indirect jobs, for a total of more than 9,000 jobs in the River Parishes and surrounding regions of Louisiana. 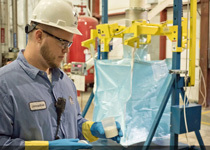 With over 100,000 employees worldwide, Formosa Plastics Group operates three existing Louisiana facilities with 410 employees in East Baton Rouge and Pointe Coupee parishes. Years in the making, the St. James Parish complex will create one of the world’s most innovative, single-site ethylene hubs. To secure the project, the State of Louisiana offered a competitive incentive package that would include a US$12 million performance-based grant to offset infrastructure costs. Following company performance in building the complex, FG would receive the grant in four annual instalments of US$3 million beginning in 2021, the projected first year for hiring permanent jobs.